Welcome back bookworms to another Empowered Wednesday!! I hope that these have inspired you to take the leap and go for creating that novel, starting a shop, or even just opening a blogger account! My next feature is a fellow Canadian who loves books just as much as I do, and of course say how we feel when it comes to books! So with that being said, let's get on with our latest creator! 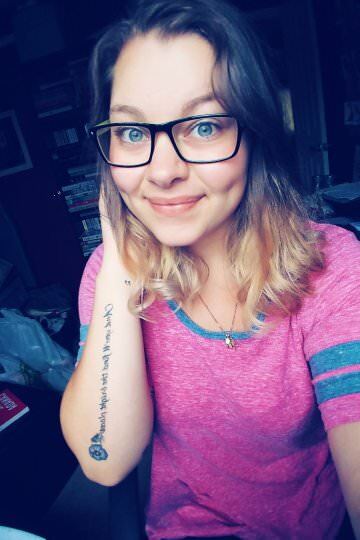 A: I’m Taylor and I’m a 17 year old book blogger from Canada! 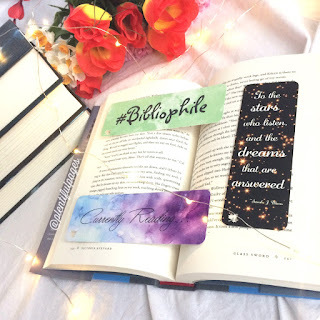 I have been on Bookstagram *Plentifulpages* for 3 years and I have been blogging for 2 years. On my blog I focus on book reviews (specifically ARC reviews), but I have been thinking of doing more tag posts because I really enjoy reading those! A: I’ve been watching BookTube for around 3-4 years now and I remember always seeing the link to my favourite BookTuber’s blogs in the description of their videos. I wanted to make a BookTube but I felt like I would enjoy blogging more, so one day after seeing so many people on Bookstagram and BookTube with blogs, I just went for it! I just went for it with creating my Bookstagram, so I decided to go for it with my blog too! Both decisions I am so happy that I made. A: I can’t really pinpoint who inspired me to become a blogger, it was pretty much everyone I followed on Bookstagram and BookTube that had a blog! A: My ideal working environment for blogging would be a room with a comfy chair, a desk with potted succulents on it, and the walls lined with books! I’d also need a little aesthetically pleasing space to take Bookstagram photos in! Q: How would you describe your style with bookstagram and blogging? A: I feel like my style is really laid back. I want my Bookstagram to be cozy and my blog to be a really honest place. I say my true opinions on the books I read because I want to be open. A: Before starting a blog I wish I knew how much work it would take. I thought it was easy, but it isn’t. It takes a lot of time and effort and sometimes you might be let down by the lack of response to a post you’re proud of, but you just have to find the motivation to keep going. A: In my spare time I read (surprise, surprise haha) so that I can keep having books to review and photograph! Q: How do you motivate yourself to keep the blog and bookstagram going? A: My motivation to keep blogging is to remind myself how much fun I have when I’m in the process of a blog post! I remind myself that if I just get started and start typing that review I’ll get back into the blogging grind! A: The most challenging aspect of blogging is to keep things fresh and unique. Sometimes I feel like saying the same things about books, but it requires a lot of brain power to really dig into a book and review it critically and unique to that book! A: One of my favourite bloggers is Paper Fury because of their consistent posting and how unique and hilarious each and every one of their posts are. I aspire to have that much creativity! Meal - my mum’s homemade Mac and cheese + meat loaf! Outing - a baseball or hockey game with my dad and brother! Tim Hortons drink - iced Capp with a caramel shot! A: If I was stuck on an island I’d want to have my copy of ACOWAR (I could probably read that book over and over again), my dog, and my bed. Q: What sort of advice can you give to anyone out there that’s thinking about starting a blog? A: To anyone who’s thinking of becoming a blogger: just do it! If you’re thinking of starting a blog and are willing to put in the work, go for it! You won’t regret it. Keep in mind that for most people (including me) it’s very hard to grow your blog, but after a few years or so you’ll be able to start reaching out to publishers which makes the blogging experience so much fun! Don’t get discouraged and keep going! You can do it! Here's Where You Can Find Taylor!